Disposal of EPS waste (expanded polystyrene) can be expensive. It is difficult to handle and it takes up valuable storage space. With an EPS compactor like RUNI’s SK 200, you are able to compact your EPS waste significantly and sell it even though the amount of waste is no more than 10-30 tonnes a year. The SK200 comes with a powerful 4 kW motor and an integrated pre-crusher. 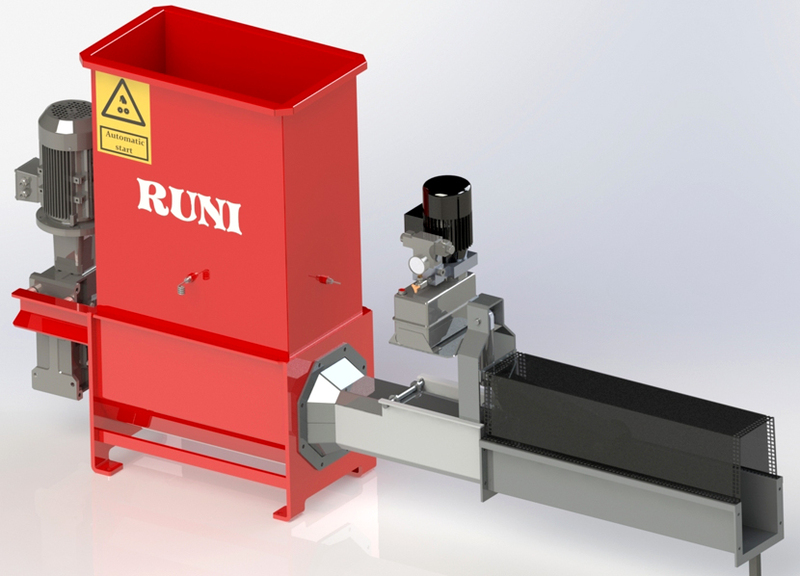 By integrating this crusher, RUNI has developed a compactor that is small and takes up less space. This makes it ideal for small and medium-sized shops or industries that produce 10-30 tons EPS a year. Furthermore, the SK200 has an automatic speed control. RUNI’s newest compactor has a capacity of 45 kg/hour. EPS is a valuable commodity which, when compacted, can be sold to recylers in order to generate and new income stream for your business. The commodity value ranges between £150 and £350 per tonne based on the size of load. PRM are able to recommend traders so that you make the most from your waste material and work directly with the buyer maximising your return. With changing specifications and accessories there is practically no material that a RUNI Screw Compactor cannot compact! For larger throughputs take a look at the other equipment in the Runi range. Danish engineering and design ensures the highest quality products with a proven track record for performance and strong international presence – Runi is a brand that you can trust.